29/11/17 – Further to successful proof of concept testing for the gas flow rig model, construction of the full size system has been commissioned. The rig will facilitate the testing and verification of a wide diversity of flow measurement technologies, including Fluenta’s FGM 160 Flare Gas Meter at velocities of up to 100m/sec to mimic blowdown conditions. 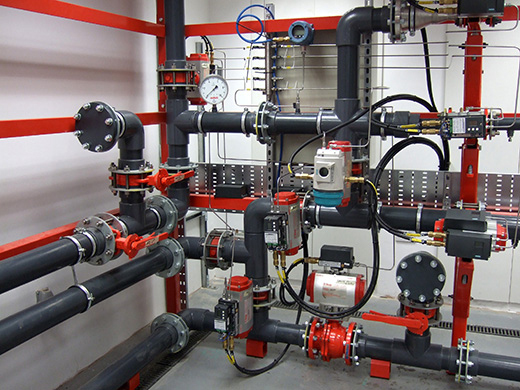 The gas rig will also incorporate the ABLE FlareMasterTM extended velocity, dual redundancy supervisory system, which has been specifically designed to enhance the performance of ultrasonic flare gas meters to ensure reliable and repeatable flare gas flow measurements under extreme process conditions and enable a measurable flow velocity approaching 1000m/sec, higher than that achievable with any other flare meter technology. 27/10/17 – The automation sequences for all the instruments currently installed on the rig have been completed. 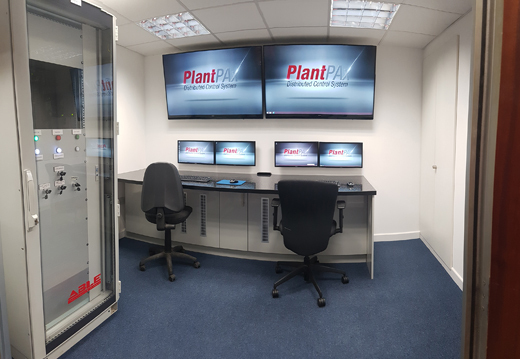 The recently added MSA Fire & Gas Detectors and the Canty Process Vision Level System have been integrated with the PlantPAX virtual DCS system and the finishing touches are being applied to the HMI. 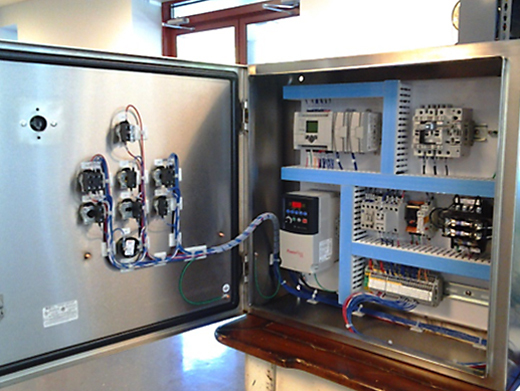 A metered gas injection loop is being constructed to accommodate ABLE’s SlugMaster intelligent dual ultrasonic flow metering system, incorporating Alicat Mass Flow Controllers. The SlugMaster, which is available in dedicated or portable versions, was specifically developed by ABLE to make continuous liquid flow measurements without disruptions resulting from the heavy, fluctuating aeration associated with the difficult process conditions of slugging. 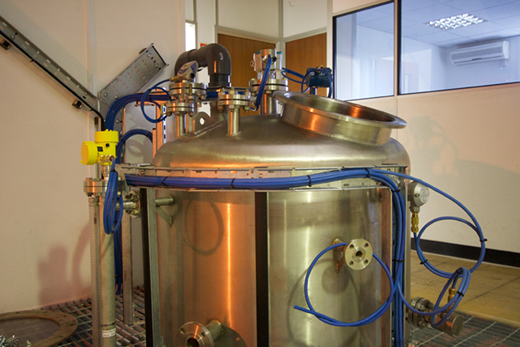 A fully automated anti-corrosion loop flush has been fitted and programmed as part of the routine maintenance procedures to be operated on a daily basis. 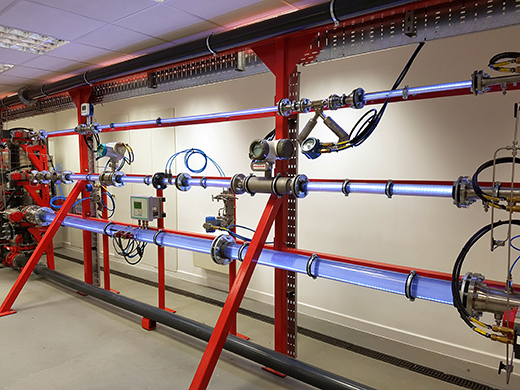 An LED based advanced process lighting system has been embedded in the major flow lines. ABLE are currently planning for a mid first quarter 2018 opening of the training facility with a series of supplier hosted technical seminars to be announced shortly. 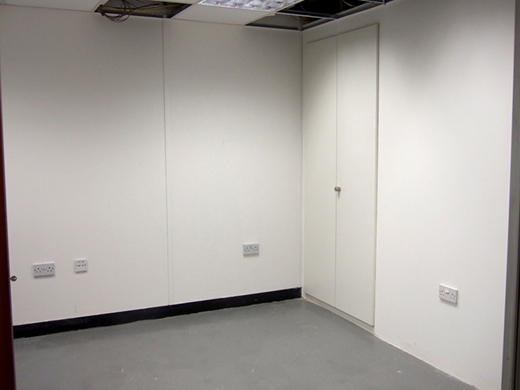 18/04/17 – The ABLE training rig is very close to completion and plans for the grand opening are now being formalised. The rig control room is now complete and has been equipped with two 55” and three 24” monitors. The Rockwell PlantPAx system has been fully implemented and uses a common automation platform for seamless integration between all sectors of the rig. 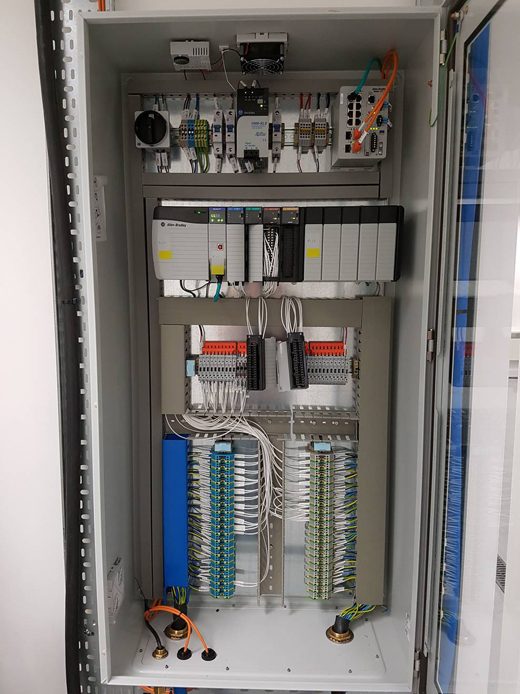 This modern DCS connects process, discrete, power, information, and safety control into one plant-wide infrastructure. Several instrument control philosophies and sequencing routines have been configured and programmed. HMI screen builds are underway. 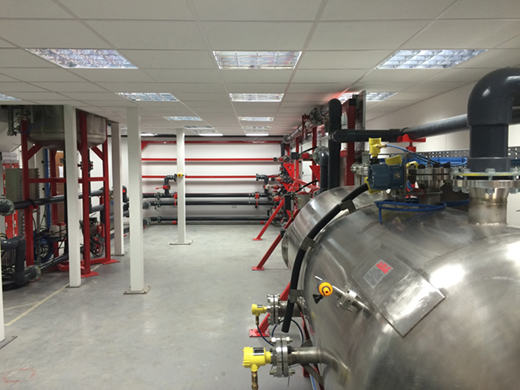 26/01/17 – 1”, 2” and 4” flow lines have now been installed on the liquid section of the training rig and populated with a variety of metering technologies including Coriolis, Electromagnetic and V-Cone. Certain sections of the line have been manufactured in clear acrylic in order to provide a visual demonstration of how the V-Cone meter interacts with the flow, reshaping and optimising the fluid’s velocity profile at the point of measurement. The clear sections will also show how piping variations such as elbows, valves and tees can disrupt well developed flow. Clamp-on Ultrasonic, Turbine and VA Meters will be added in the near future. 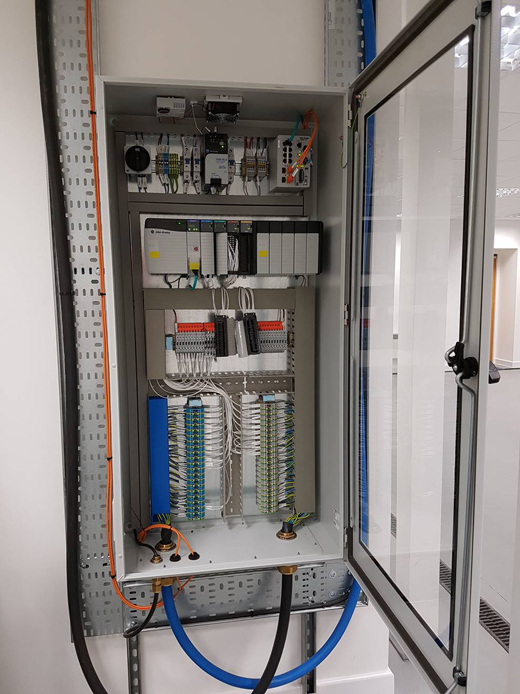 19/01/17 – Following successful execution of the panel build and installation of remote I/O, we can now report that the initial commissioning of the backend Server components for the Allen Bradley – Rockwell PlantPAx™ Automation Control System and the Engineering Workstation has been completed. Process values were visible in real-time in the Rockwell software and 4-20mA inputs were applied to various instrument inputs in order to facilitate testing of low, mid and full range values for same. 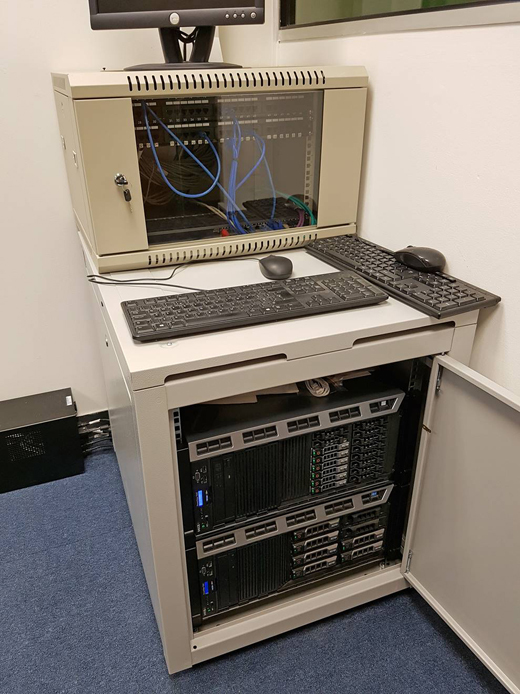 HART protocol was enabled on several of the I/O channels and HART enabled instruments were successfully interrogated to retrieve and modify device information. 27/09/16 – The Liquid Rig has now been successfully leak tested and the functionality of the pumps, valve positioners and actuators verified. 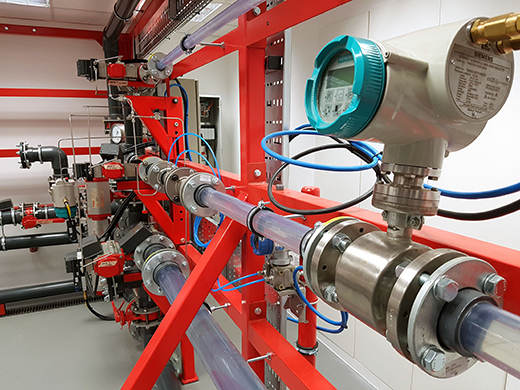 The first phase of instrument commissioning is complete and the selection and installation of the flow meter technologies for the 1”, 2” and 4” lines is under review. 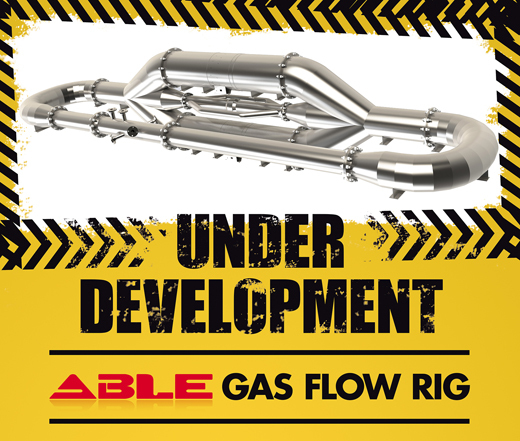 27/09/16 – ABLE have now taken delivery of the complete hardware compliment required to implement a full Rockwell PlantPAx™ Automation Control System for the rig. Panel design and build are underway. 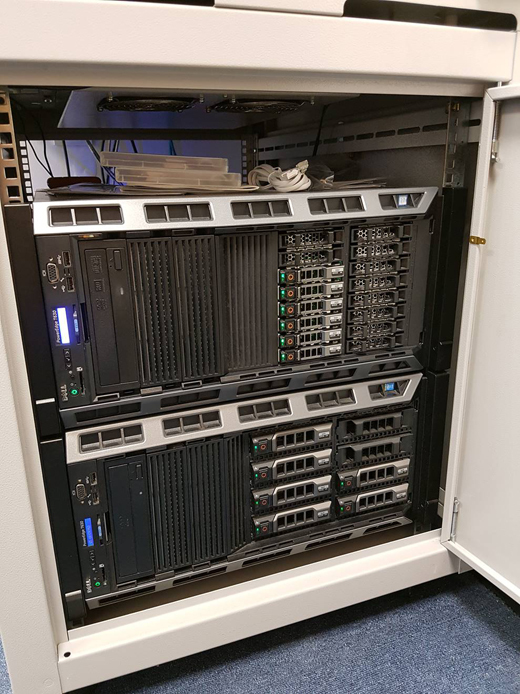 ABLE IT are currently determining the server specification required to accommodate the PlantPAx™ architecture, incorporating FactoryTalk Historian and Vantage Point. Six virtual Microsoft servers are likely to be required to host the software system elements. 27/09/16 – Proof of concept for the Gas Flow Rig model has been successfully concluded and scaled velocities in excess of 100 m/s shown to be viable. Procurement of the necessary materials for construction of the full size flow rig (3 x) is expected to begin shortly. 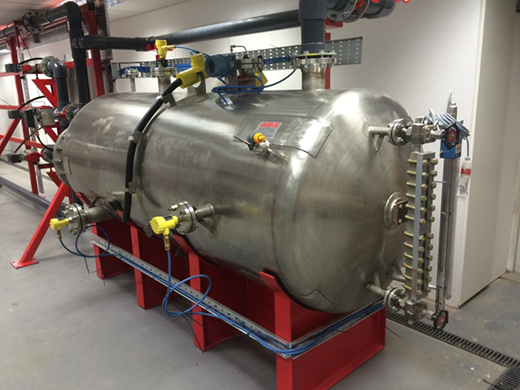 24/08/16 – The Liquid rig is now ready for leak testing and this process will be completed over the next two weeks. The integrity of the rig will be assessed over a wide range of flow rates with full functional testing of the centrifugal pumps and the manual and pneumatically operated valves. 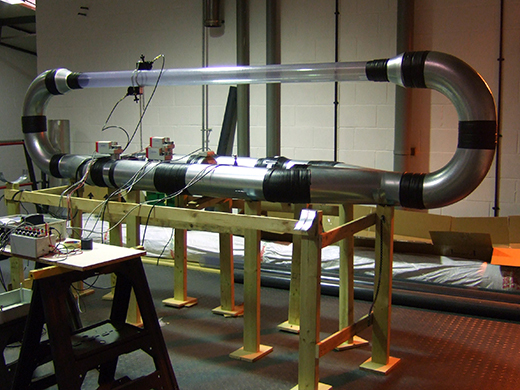 24/08/16 – Gas flow loop design – the construction of a scale model of the gas flow loop required for proof of concept has been completed. The model will provide the opportunity to make any necessary design changes before committing to the main construction. To achieve the 100 m/s velocities needed to test gas and flare meters, the air speed will need to exceed 220 mph. Testing will focus on any adjustments required to improve aerodynamic efficiencies. 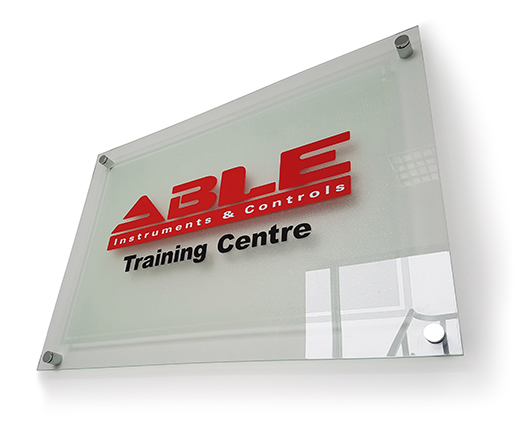 24/08/16 – ABLE have now signed a deal with Rockwell, the world’s largest industrial automation company, for the latter to donate a full process control package for the training rig. This will be managed by Rockwell’s flagship PlantPAx virtual DCS system. Rockwell will be working closely with ABLE over the next few weeks to coordinate delivery of system hardware with panel design and build.